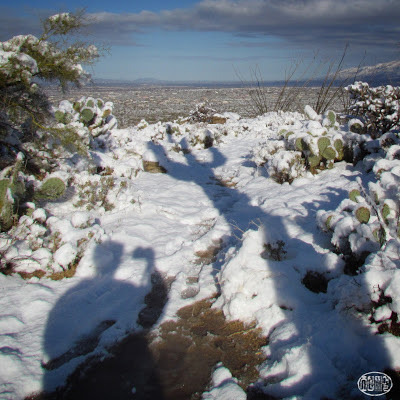 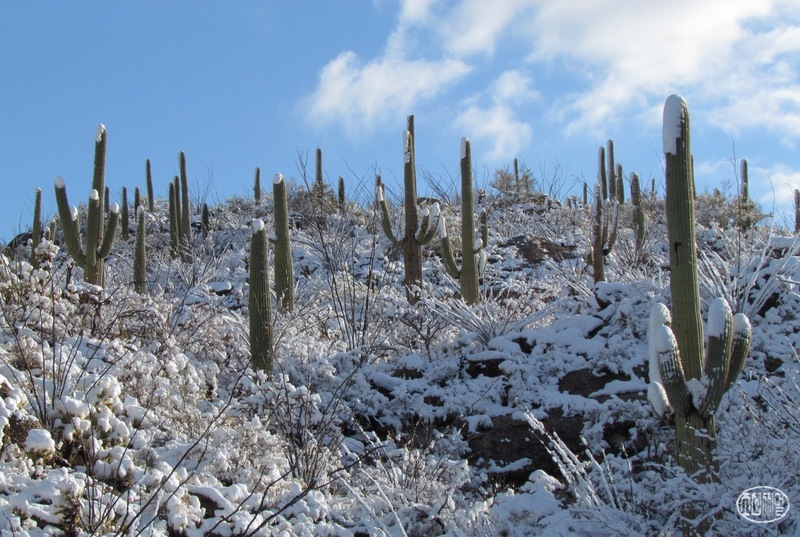 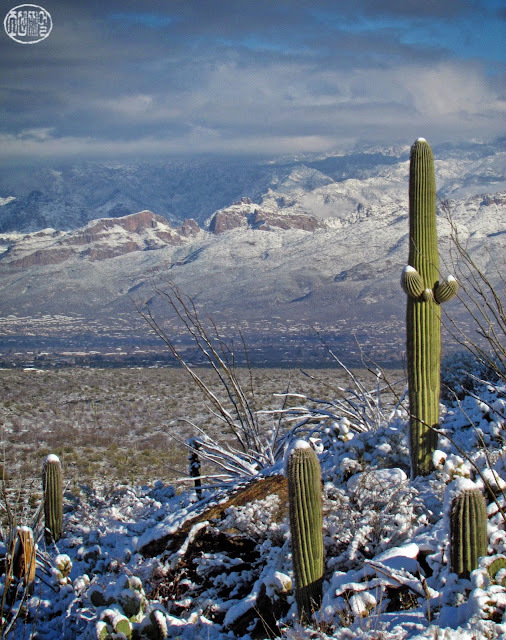 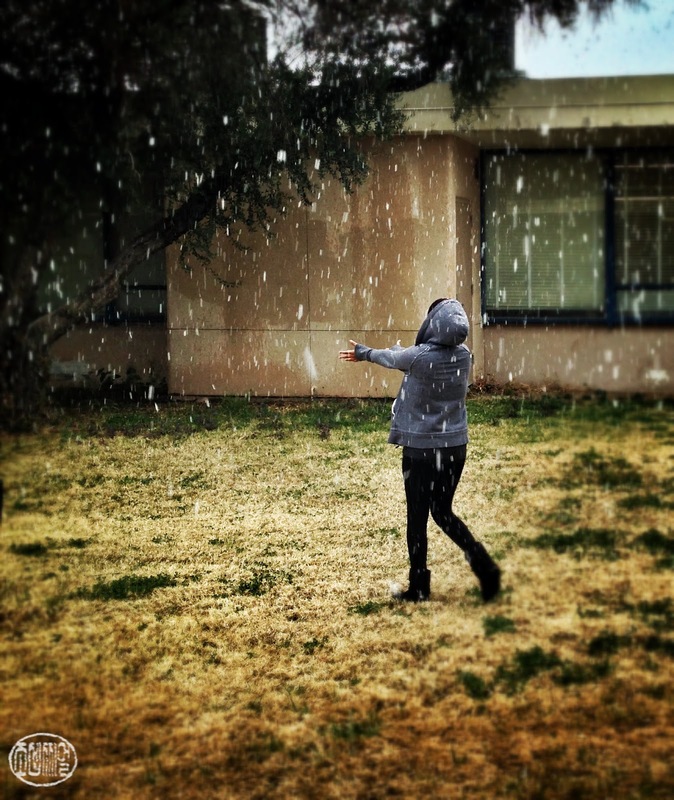 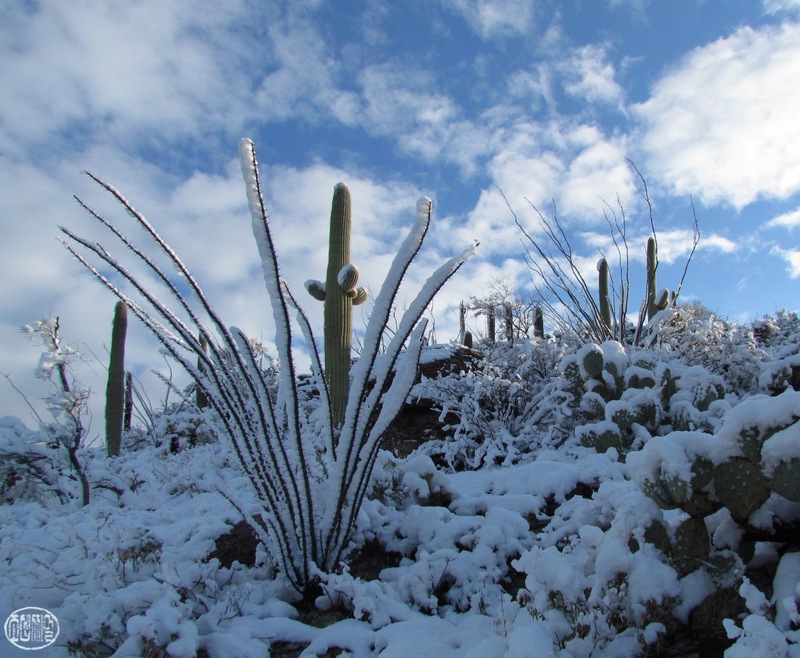 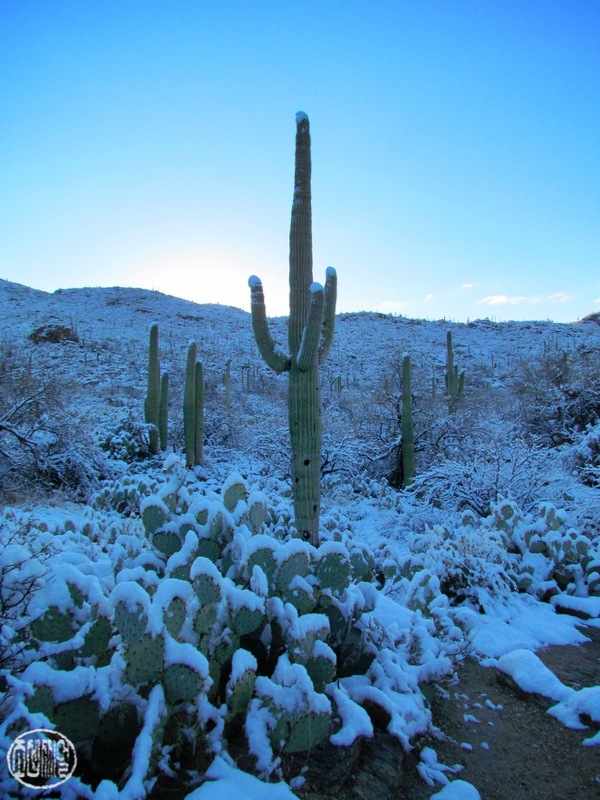 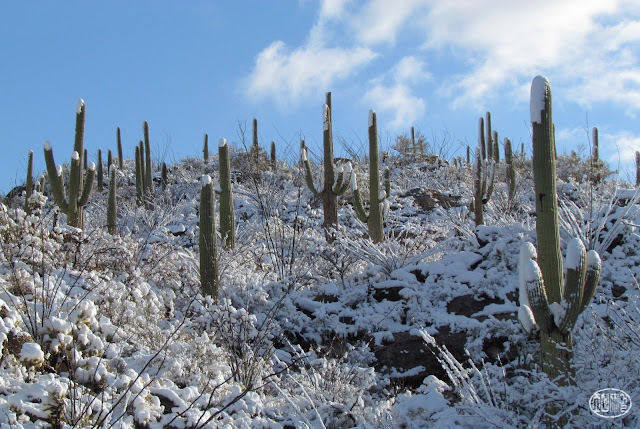 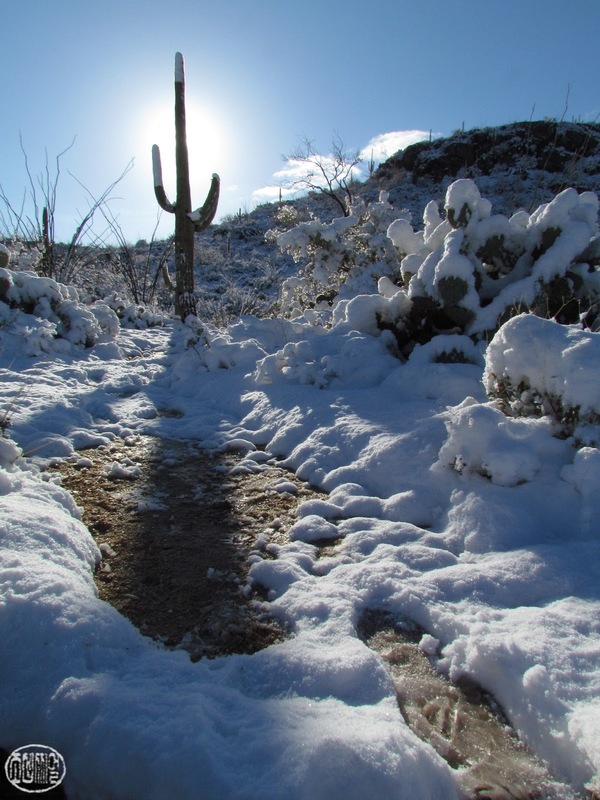 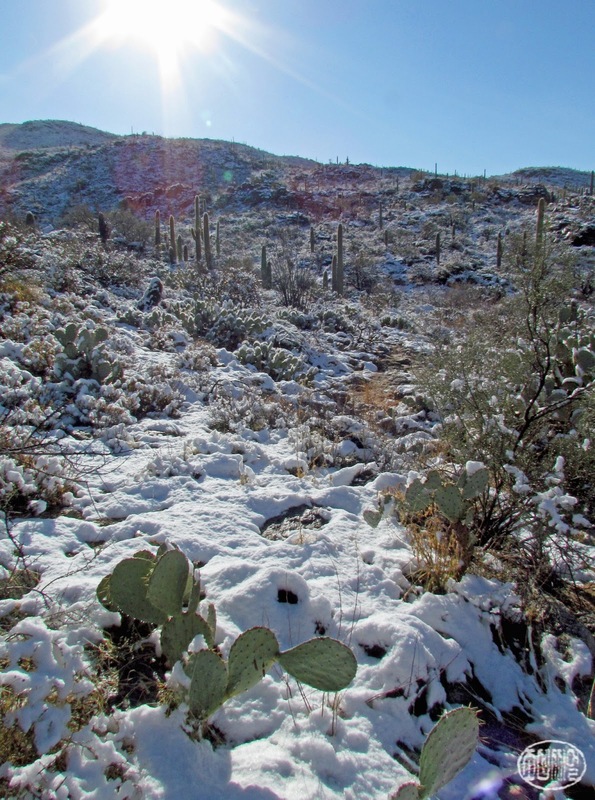 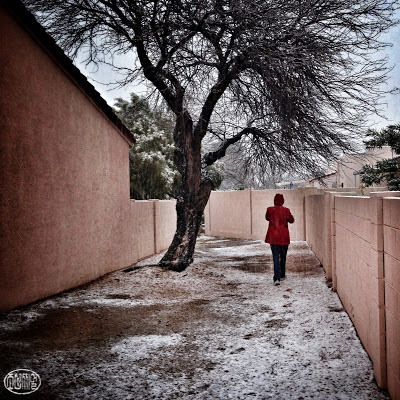 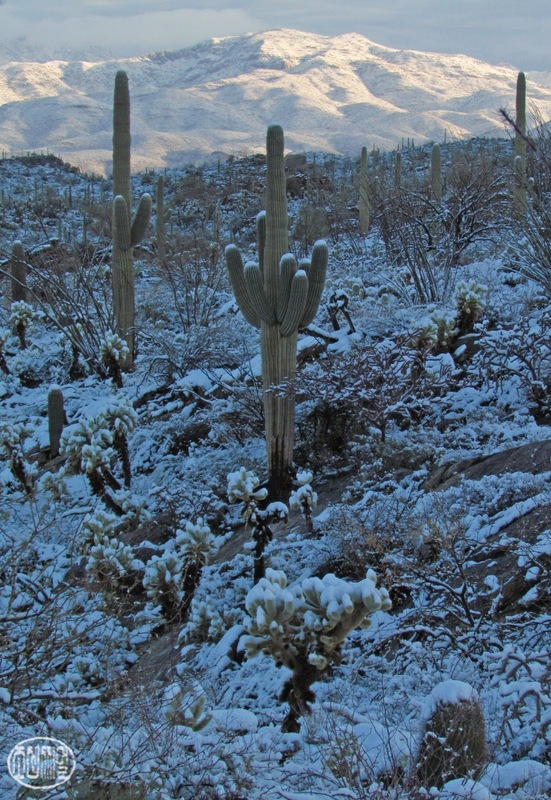 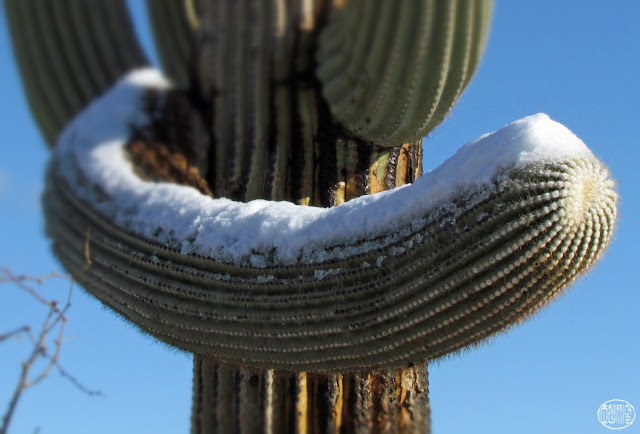 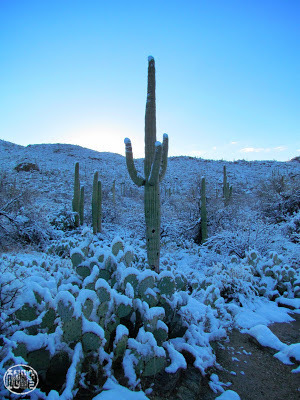 Years can go by without snowfall in Tucson. 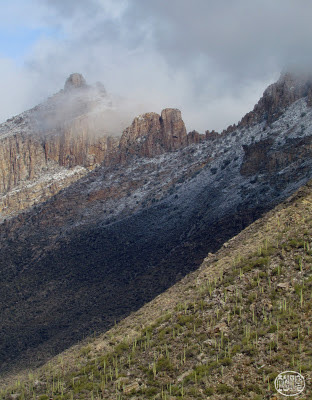 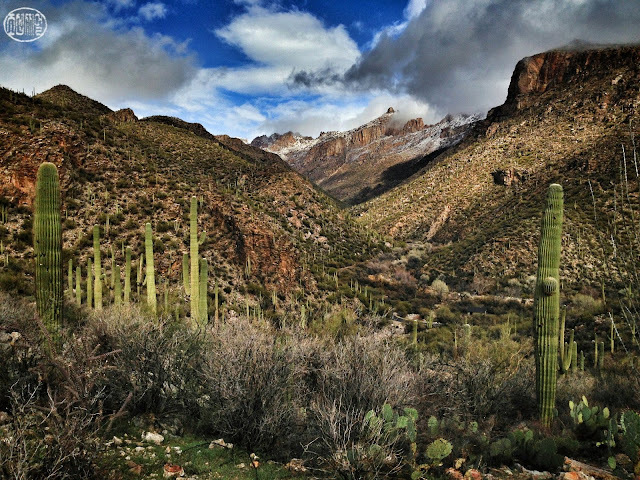 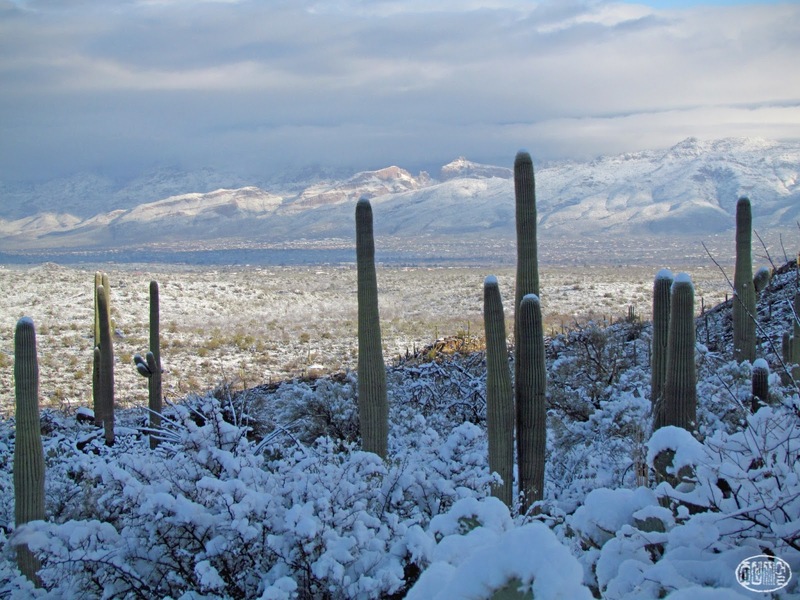 The mountains all around get dumped on several times each winter, but to have the snow level drop down to 2500' or 2000' (600m-760m)--the last time that happened was six years ago, before my wife and I moved here...SNOW IS ALWAYS A BIG DEAL IN TUCSON! Such a change--just the day before, the high temperature here was 70 degrees. 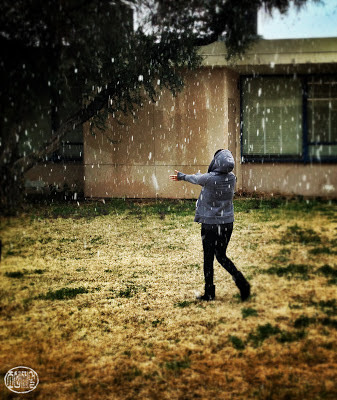 Before I could hike back to the car, a sleety mix began falling. 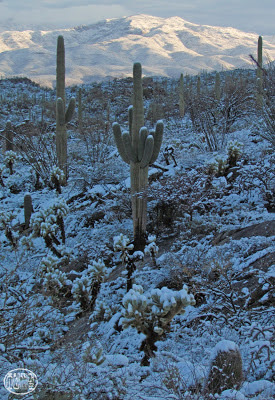 I got there right before the sun rose over the Rincon Mountains.